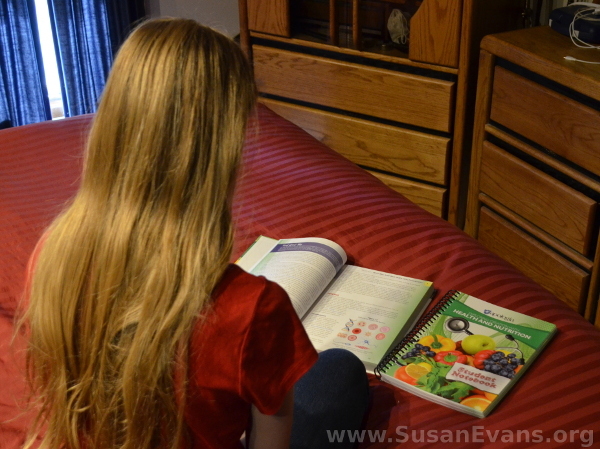 “This is going to be my favorite subject!” declared my teen daughter excitedly, smiling when the health books arrived. I hadn’t told her that I tried to find another high school science course that she would like, and that I finally found one. 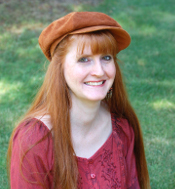 As a blogger, I get paid to review honestly the very books that I would have ordered for our homeschool anyway. So when I these books arrived in the mail free of charge, she was literally jumping up and down, which is highly appropriate for this subject. Flipping through the book, we could see this health course–Exploring Creation with Health and Nutrition–is more than just a high school science course. It’s also about the mind and emotions, and how to cope with life in a healthier way. It’s about food and exercise. It’s about not being bogged down by stress. It’s going to be fun for me to learn along with my daughter because we both want to be healthier. Part of the reason Americans feel a lack of energy is the food we eat and our lack of exercise. We focus too much on survival or getting the needed things done. We need to get back to a place where we are thriving and not just surviving. We’ve started the course with chapter 1: “Who am I and Why Does Health Matter?” This chapter includes the concepts of nature and nurture—that we are a compilation not only of the genetics passed down by our parents but also by our environment. Physical advantages can be passed down through family lines, causing the person to innately be good at a certain activity—like basketball or piano. 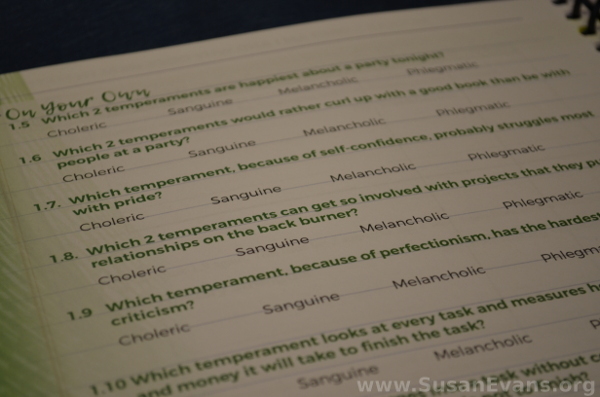 The chapter also discussed temperaments, which are predispositions to certain behaviors, emotions, or thoughts. 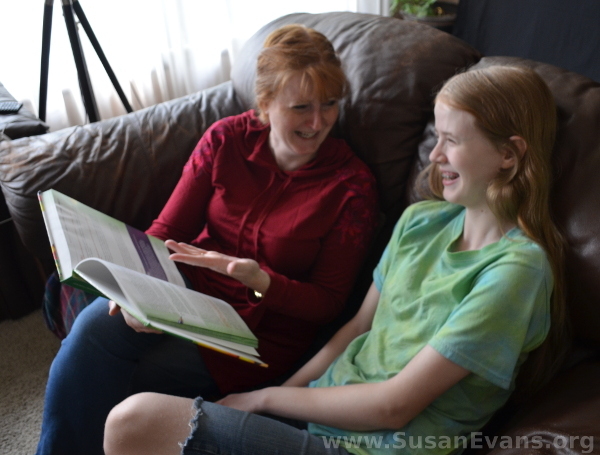 Learning about the personality types helps teens to understand who they are, in order to accept themselves the way God made them, and to learn to accept others who have a different personality than they do. 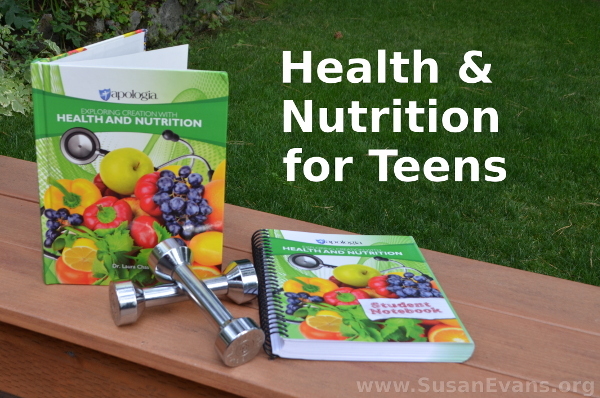 Developing healthy habits while young will help teens to have life-long better health. Of all the sciences, I think this one is the most practical for everyday life and can improve our quality of life if we apply its principles. I’m looking forward to going through this year-long course with my daughter, and I might be blogging more about it in the coming months. To get a free Health & Nutrition Activity e-book and samples of the text and student notebook, click here. 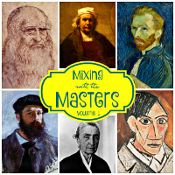 If you would like to purchase this health course, you can get it here.